This EGIA core class is designed to help guide a company through developing a service department business plan and provides all the tools, processes and forms to execute the plan and achieve the service department goals. A detailed evaluation will be made of an effective service operation with guidance from the instructor in a “workshop” environment to help the company choose priorities and set goals to improve profitability. Together we will explore the intricacies of managing a profitable Service department, departmental goal setting, technician goal setting and most importantly technician training, hiring, recruiting, and development. The class will also cover service pricing systems and labor rates, Service Agreement objectives and sales, the development of new customers through the service model, technician tracking and accountability systems, customer service processes and call taking – dispatching procedures. While more in-depth instruction will be presenting in EGIA’s educational classes specific to Pricing, CSR coaching and Service Agreement Sales, this class will nevertheless provide a meaningful overview of each. The class will allow each member to benchmark their service department and company needs and prioritize the goals for each with a focus on core improvements within the plan. Service managers and owners will benefit from this class. Gary Elekes is serial entrepreneur with a passion for helping others become more successful by sharing what he has learned over the past 3 decades working closely with all facets of the contracting industry. During his career, Gary has held senior management positions at Lennox and Service Experts. In 2000, Gary moved into entrepreneurship and started his training and consulting business EPC. Today, EPC continues to support growth oriented businesses aspiring to reach 20% EBIT. He also designed the very first web based learning platform for the residential contracting industry, which acts as a support system for training and learning in HVAC and plumbing trades, and has over 5,000 subscribers. In 2003, Gary began acquiring contracting firms with a focus on developing turn-around opportunities. He also opened and operated several start-up businesses. In 2010, he added web design/SEO and online marketing to his company portfolio starting Imarket Solutions as a co-founder. 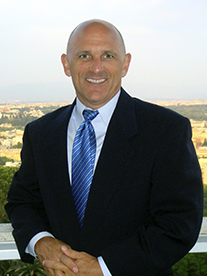 Gary graduated from Ohio State University with a BSBA and also holds a Master's Degree in Business and Finance.